We Can Be Sour, But We’re Mostly Sweet! While the local honey is so sweet from NewBee Ranch, we also love their sour side. Check out their selection of fermented foods, including some fun kraut varities. Last month they had cauliflower kraut, and rutabaga kraut has been known to appear on their table. 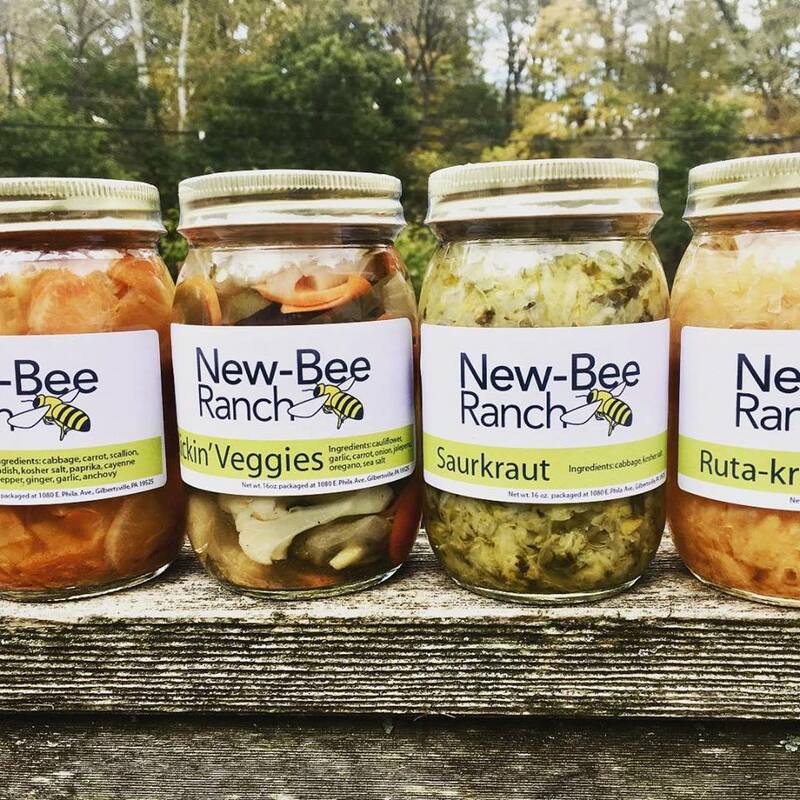 You never know what they’re going to ferment next, so make sure you stop by to check out their entire selection of honeys, fermented foods, and beeswax products. And while you’re there, make sure to get some lovin’ from Hank! Take it from little S., you knead bread from Brandywine Valley bread! 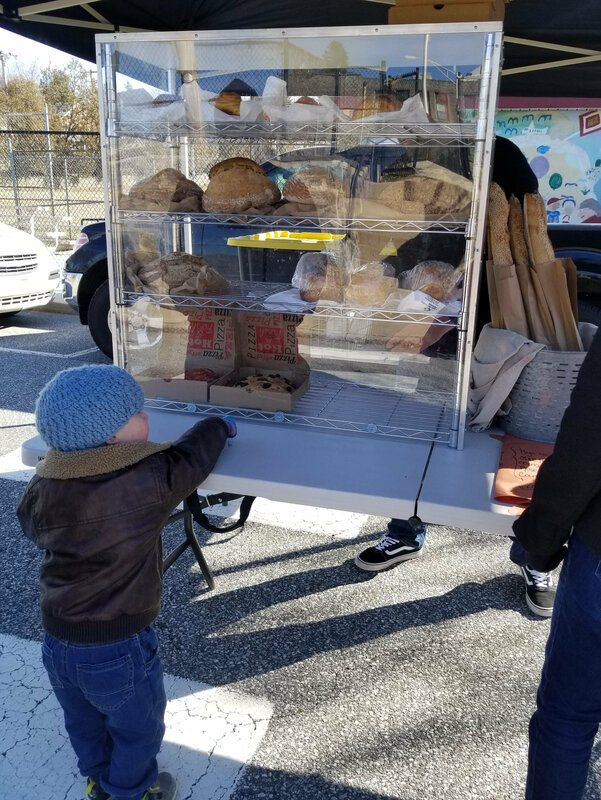 He was very excited to pick out his bread at the last market. Make sure to stop by early for the best selection, they are likely to sell out. And ask about the sourdough bread as well, it’s great for those with gluten-sensitivities. The Winter Market will continue through April 7 on the first and third Sundays of each month from 10 to 12, rain, shine, or snow! In the event of dangerous or severe weather, check our Facebook and Instagram pages for emergency closing information. The Market will be located on Edgemont Street between Front and State Streets. We will still accept SNAP, please stop by the Manager’s Table to use these benefits. We’re the Apple of Your Eye! Don’t forget, the Market still has some great fresh fruit options! 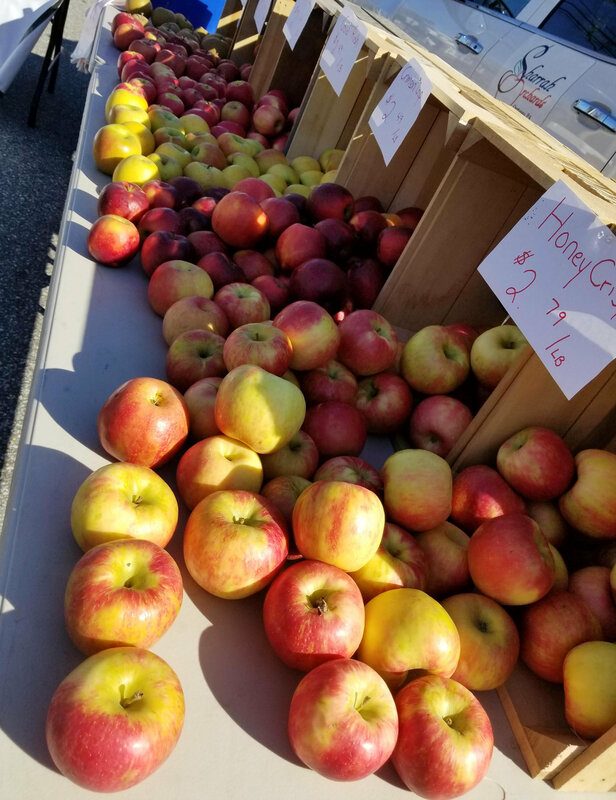 Visit Sharrah Orchards for lots of varieties of apples, plus homemade applesauce, their own canned peaches, and more! See them at the Front Street end of the Market. Celebrate Your Heart This February. 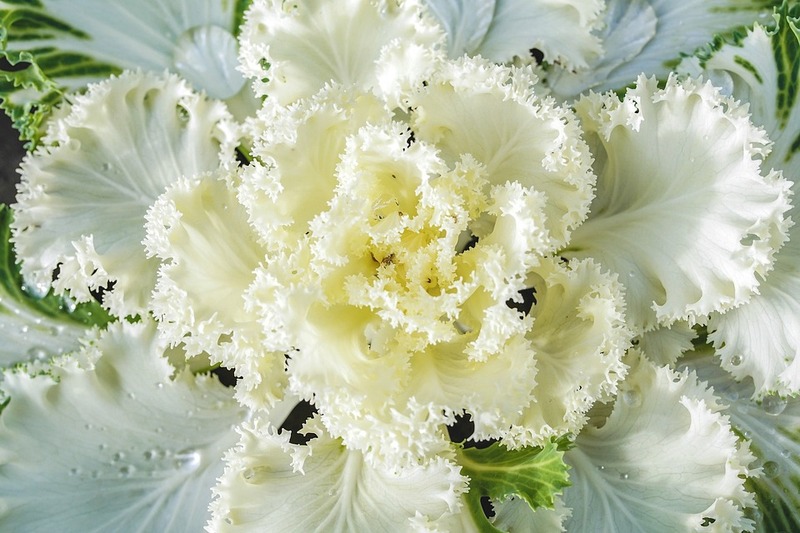 It would be radicchio-lous to miss the Market! Bloosdale Spinach: a special variety of spinach made for the winter season – it gets sweeter after it’s been through a couple frosts! Tardivo and castelfranco radicchio: these are bitter greens that originate from very rural Italian communities. Both can handle a lot of heat and can be thrown on the grill, braised in soups, or even roasted in the oven. They go great with sweet and salty pairings like apples from Sharrah Orchards and blue cheese, or with savory flavors like mushrooms from Midnite Mushrooms! Neil’s Sharpening Service will be at the Market this Sunday! Bring out your knives, garden tools, clipper blades, lawnmower blades, and any other blade you might have to be expertly sharpened while you shop! Don’t get caught with dull blades when spring weather arrives! 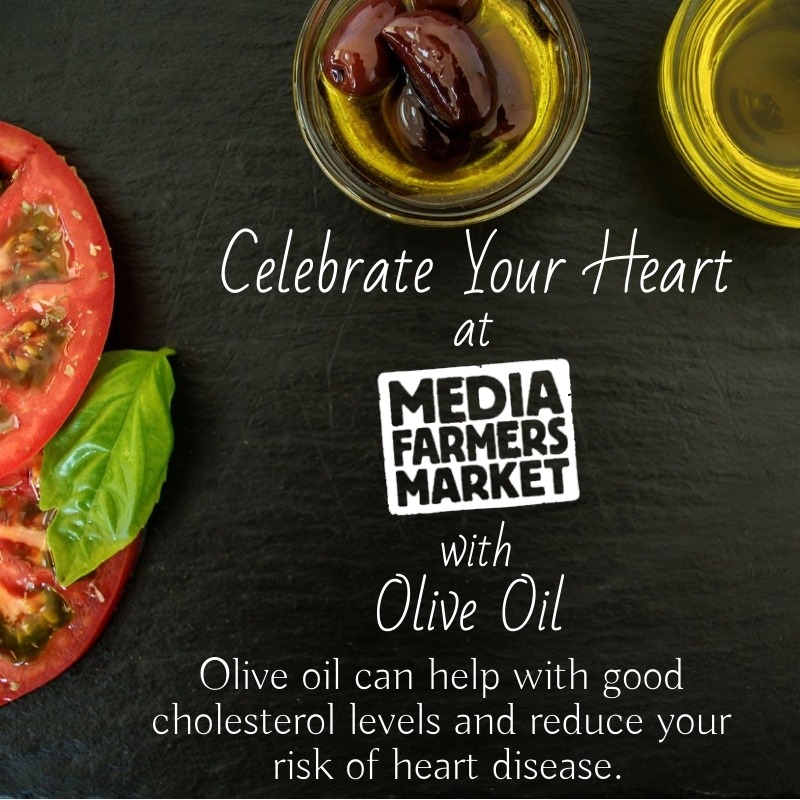 While pink and red hearts are fun in February, why don’t you take some time out to celebrate your heart and how you can treat it right at the Media Farmers Market? Did you know that greens are a heart-healthy vegetable? They contain lots of vitamins, including A, C, and K; and are rich in fiber which lowers cholesterol and your risk of heart disease. They also contain high levels of magnesium which helps in regulating blood pressure. Have a “knife” day at the next Market! Neil’s Sharpening Service is scheduled to return to the Market on Sunday, Feb. 17! Gardening season is fast approaching, so bring out those garden tools and lawnmower blades now so you’re ready when spring weather arrives. Or bring out those kitchen knives, hair clipper blades, or scissors to be sharpened while you shop! While pink and red hearts are fun in February, why don’t you take some time out to celebrate your heart and how you can treat it right at the Media Farmers Market? Did you know that carrots are a heart-healthy vegetable? The high levels of carotenoids, powerful antioxidants, that are found in carrots can combat the free radicals that cause heart disease. Stop by Robin Hill for fresh, frost-sweetened carrots, and stay tuned for more heart-healthy choices available at the Market! We’ve updated our yard signs! Do you still have one of our original signs with our summer Sunday hours? We’d like to update it with our current hours. If you have one of our signs, please email us so we can set up a time to drop by or meet up to quick put a sticker on your sign. We appreciate your support! If you don’t have a yard sign and would like to have one for your yard, let us know and we’ll get one to you! Alpaca my bags for the Market! Did you realize this week during the polar vortex that your cold weather accessories are lacking? Then come out to the Market this Sunday to meet Pam from Trotter Hill Alpacas. Located in Glen Mills, Pam and her alpacas produce wool, gloves and mittens, fuzzy shoe inserts, and other woolly things. You’ll be ready to handle whatever winter weather comes our way next! Believe it or not, Robin Hill will still have a great selection of fresh produce this week. They are anticipating having frost-sweetened, tender carrots; hakurei turnips; tatsoi; kale; and beets. They will also have sauce and salsa that would go great with chips for the game!